Three process steps can dramatically improve the outcome of your beer! When I started home brewing, I followed the process outlined in the popular texts at the time (How to Brew (Palmer 2006) and The Complete Joy of Home Brewing (Papazian 2003)). I thought the resulting beer was pretty good, but of course I was still developing my palate. Hundreds of home brewed beers later, I see some significant gaps between the beginner texts (which have both been updated and re-published) and my brewing process. These gaps account for some big moments where the beer I brewed took a giant step forward. I try to emphasize these three steps to every novice brewer in the shop to help him/her make the best beer possible. All three steps have one goal in mind: to create the healthiest yeast to perform the best fermentation possible. 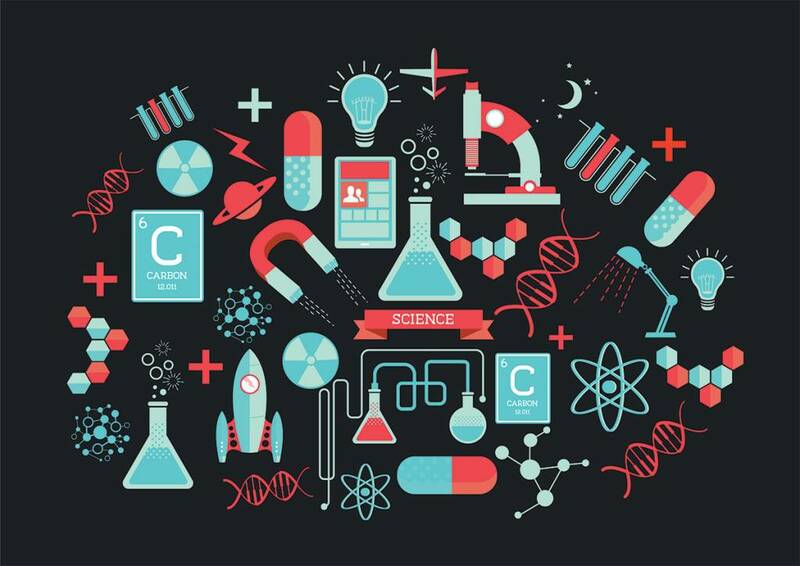 Yeast starters often look like the most "sciencey" step in beer brewing because of commonly-used hardware, but the concept is simple: create a mini-brew with a sugar content mild enough to get the yeast "started" without freaking them out. No hops are added. There's a great discussion on how far in advance to make a yeast starter here, but most brewers make a starter 24-48 hours in advance of brew day. Making a yeast starter for a 5-gallon batch is generally going to require around 200 grams of dry malt extract, 2 liters purefied/filtered water, and ice for chilling. Boil the DME in water for 15 minutes, chill, pour into a fermentor (a glass jug, an Erlenmeyer flask, or a growler), and pitch the yeast. Presto! You've made a starter. The next step is to aerate/agitate the yeast. The use of an Erlenmeyer Flask with a magnetic stir plate/stir rod is great for achieving quick and consistent results, but a starter can also be made in a 64-oz amber glass growler. Some brewers like using Styrofoam or rubber stoppers and an airlock to protect the fermenting wort, but many simply cover the fermentor with a sanitized piece of aluminum foil. On brew day, you can either refrigerate the starter at the beginning of the day so you can decant it slightly and pitch, or simply pitch the full amount into your beer. I've done both methods but prefer the former over the latter solely as a means to match the final beer volume to my original recipe. Unless you're making a "vitality" starter (explained here), proper aeration of the wort after chilling is necessary to dissolve oxygen into solution. Yeast need this oxygen during the first stage of fermentation to propagate and begin anaerobic respiration. Splashing, shaking, and pouring the wort between buckets is a "better than nothing" solution, but the best option is to pump pure oxygen into the wort using an aeration setup like this one. When combined with disposable oxygen tanks available at your local hardware store, wort aeration is a breeze. So why does aeration matter? It cuts down lag time from pitching to krausen which limits the off flavors produced when yeast are stressed. For more information, see Yeast: The Practical Guide to Beer Fermentation (White/Zainasheff 2010). When we lived in a house without air conditioning, the only space cool enough to ferment beer in teh summer was our bedroom thanks to a window AC unit. Sleeping with liquid airlocks bubbling away next to the bed was inconvenient at best, but the noise was nothing compared to the hell I caught from my spouse when a Belgian Golden Ale blew out all over the side of the bed and into the closet! 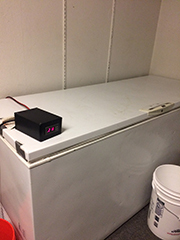 Converting a chest freezer into a fermentation chamber is one of the easiest and cost-effective solutions to maintaining consistent temperatures. It also has the bonus of keeping carboys out of our bedroom, so the project won immediate support from the wife. The concept is pretty simple. 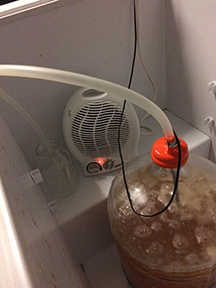 Plug a chest freezer into a temperature controller, run the temp controller's thermometer probe into a thermowell so it reads the internal wort temp, and set the temp controller to the ideal fermentation temp for your yeast. In this build I included a low-voltage personal heater to be able to put heat on Belgian-style ales. I wouldn't recommend doing so since it's not particularly safe, and heat mats/wraps are a much safer alternative! I implemented yeast starters and temperature-controlled fermentation around the same time in my brewing process and started making significantly better beer. My scores in competitions improved and the beer tasted a lot closer to commercial beer. Oxygenation was the last big leap forward in producing better beer. While I am constantly tweaking my brewing process and developing new recipes, consistently taking the time to plan for all three elements has helped me make consistently good (if not always great) beer!